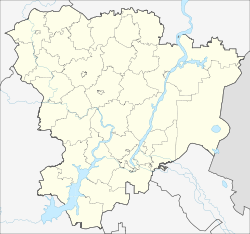 Volgograd (Roushie: Волгоград​ (help·info); IPA: [ˌvɐlɡəˈɡrat]), umwhile cried Tsaritsyn (Roushie: Цари́цын​ (help·info)) (1589–1925) an Stalingrad (Roushie: Сталингра́д​ (help·info)) (1925–1961) is an important industrial ceety an the admeenistrative centre o Volgograd Oblast, Roushie. It is 80 kilometres (50 mi) lang, north tae sooth, situatit on the wastren bank o the Volga River an haes a population o 1,021,215 fowk. The ceety wis made famous for its resistance an extensive damage durin the Battle o Stalingrad durin Warld War II. A nummer o comminties in Fraunce an Italy hae streets or avenues named efter Stalingrad, hence Place de Stalingrad in Paris an the eponymous Paris Métro station o Stalingrad. ↑ Энциклопедия Города России. Moscow: Большая Российская Энциклопедия. 2003. pp. 81–83. ISBN 5-7107-7399-9. ↑ "VISIT VOLGOGRAD - RUSSIA - WELCOME TO THE CITY - THE HERO VOLGOGRAD!". www.visitvolgograd.info. Retrieved 2010-01-05. Wikimedia Commons haes media relatit tae Volgograd.